Alien Bee: Phase 4 Films To Release "Films of Fury: The Kung Fu Movie Movie" on VOD November 1st. 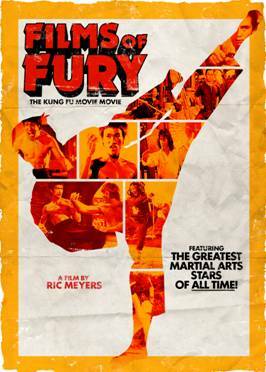 Phase 4 Films To Release "Films of Fury: The Kung Fu Movie Movie" on VOD November 1st. Featuring the greatest martial arts stars of all time! Toronto (October 12, 2011) – Phase 4 Films is pleased to announce the video-on-demand (VOD) World Premiere of FILMS OF FURY: THE KUNG FU MOVIE MOVIE on November 1, 2011. The action-packed martial arts documentary is written by Ric Meyers, who has been inducted into five international Martial Arts Halls of Fame for his extensive body of work in Kung Fu. FILMS OF FURY: THE KUNG FU MOVIE MOVIE premiered at the San Diego Comic Con Superhero Kung Fu Extravaganza, which was also hosted by the film’s writer. Featuring martial arts legends Bruce Lee (Enter the Dragon, Fist of Fury), Jackie Chan (Rush Hour, The Spy Next Door, The Karate Kid, The Forbidden Kingdom), Jet Li (The Expendables, The Mummy: Tomb of the Dragon Emperor, The Forbidden Kingdom), and Chuck Norris (“Walker, Texas Ranger), FILMS OF FURY: THE KUNG FU MOVIE MOVIE includes scenes from over two hundred martial arts movies. “Films of Fury” tells the story of the Kung Fu sub-culture from its ancient Peking Opera origins to its superhero-powered future. From Enter the Dragon to Kung Fu Panda and everything in between, “Films of Fury” features the genre’s greatest on-screen warriors, and reveals the legend, the lore, and the loony of the Kung Fu film genre like it has never been seen before. About Phase 4 Films Inc. 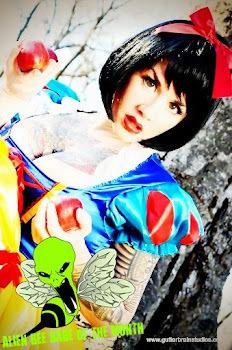 Phase 4 Films distributes feature films and special interest content across all traditional theatrical and new media platforms in North America. The company’s previous releases include Kevin Smith’s Canadian tour of RED STATE, starring Michael Parks, Melissa Leo and John Goodman; VIDAL SASSOON THE MOVIE, director Craig Teper's revealing and inspirational portrait of the iconic hairdresser who changed the world with a pair of scissors; and Matt Tyrnauer’s acclaimed fashion documentary VALENTINO: THE LAST EMPEROR. In November 2011, Phase 4 will release the Sundance 2011 award-winner ANOTHER HAPPY DAY, Sam Levinson’s dark comedy about a dysfunctional family, starring Ellen Barkin, Demi Moore, Kate Bosworth, Thomas Haden Church, Ellen Burstyn, and Ezra Miller.